Sockpuppet Thursday—The Pervy Ghost Cat Edition! 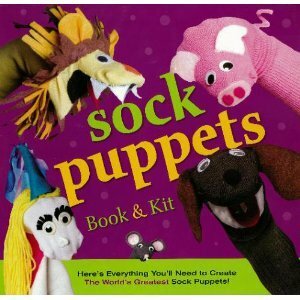 And last week I introduced a new idea: a poll to determine the best sock puppet from the week before. Well, the winner was… “If you don’t get a stiffy, your case will be iffy” by “Czechoslovakia Immigration Officer” obviously a joking reference to this post. The winner, whoever you really are, gets the valuable prize of… respect. And let’s do it again. Using one of those polling widgets, I have nominated (imho) the five best sock puppet comments from the last sockpuppet Friday (the fit in the poll code widget). So vote for what you think is the best. And be sure to look at all the options in the drop down menu before choosing. Which is the funniest sock puppet comment from last friday? …the North Tower of the World Trade Center was completed. I was always struck, on 9-11, how a woman said something to this effect: “I don’t see buildings. I see people.” Meaning that whatever concern she felt for the buildings themselves, was completely eclipsed by her concern for the people who were inside when they fell. So in some ways noting this date runs counter to that, but still I wanted to note it. We must never forget the lesson we learned that day, more than nine years ago. Evil exists and it must be confronted. Page loaded in: 0.1517 secs.